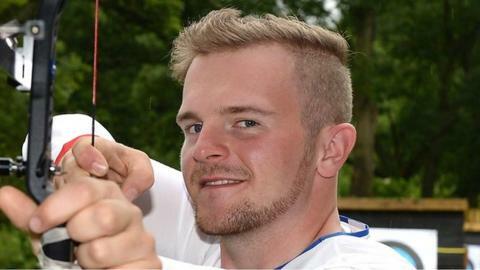 Northern Ireland archer Patrick Huston is through to the last 32 of the Men's Recurve at the World Archery Championships in Mexico City. Huston is the sole survivor from the Great Britain men in the draw after Tom Hall, the other GB archer to reach the second round, was eliminated. Huston won his first round against Finland's Tero Pyylampi and then beat Deng Yu-Cheng in the second round. The 21-year-old faces Rick Van Der Ven of the Netherlands in the last 16. The Belfast archer, who competed at the 2016 Olympic Games, was 20th in the qualification round, and will compete in round three at 15:15 BST on Thursday.